As usual, lots of pictures, which were left over, accumulated during the season. 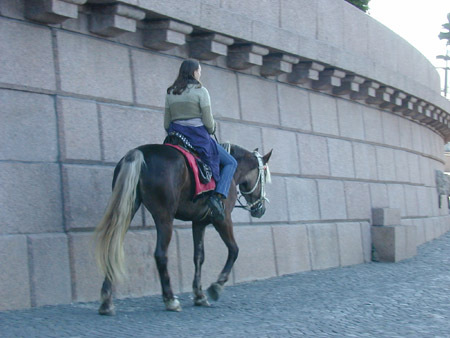 In this album you can see some of them. 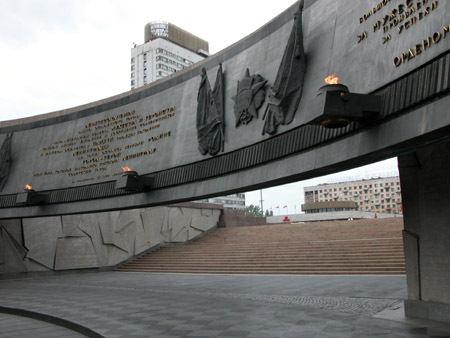 This is a monument to the defenders of Leningrad on the Victory Square. 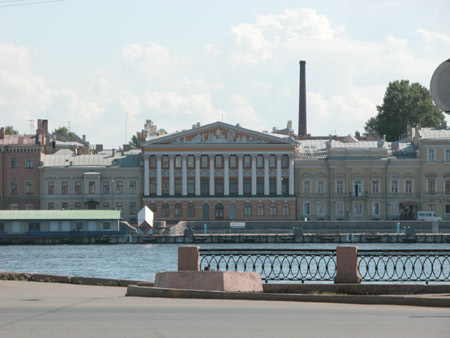 This is a building of XIX century on Rizhskii prospect. 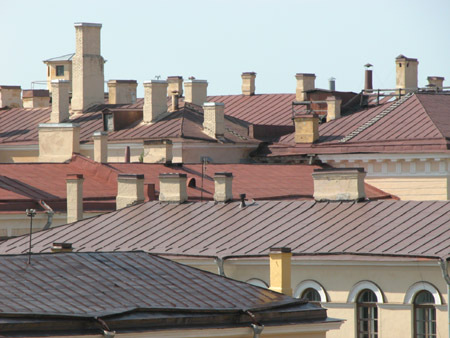 It's a part of "Dispatch office for producing the state papers " (nowadays it's a The State Quality Mark Building). 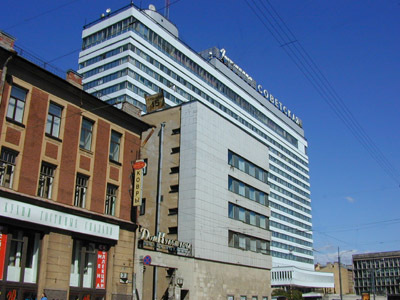 This is the "Sovetskii" hotel, built in 1963-1968 by V.V. 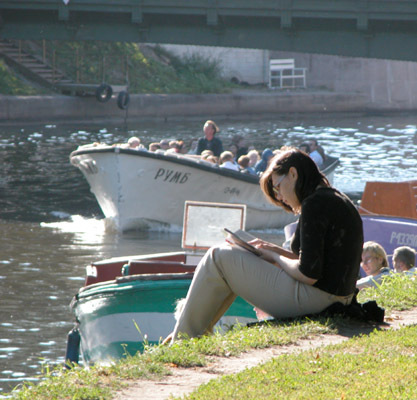 Gankevich, E.A. Levinson and A.I. 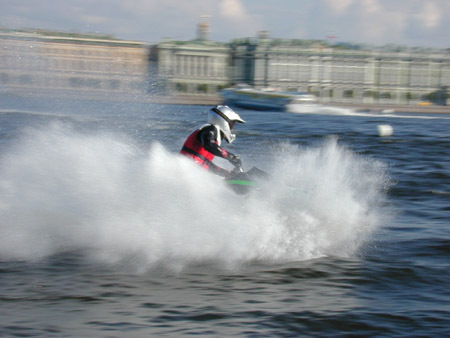 Pribulskii. 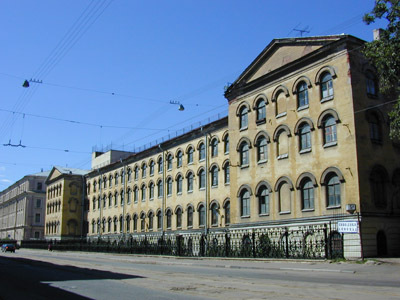 On the other side of the street (which faces Fontanka Canal) there's the other five-storey building. 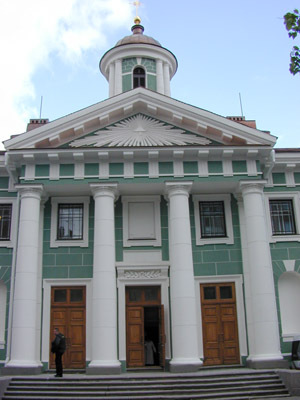 This is the St. Maria's Finnish church (on the Bolshaya Konushennaya street), built in 1803-1805 by G. H. Paulsen and K.K. Anderson. 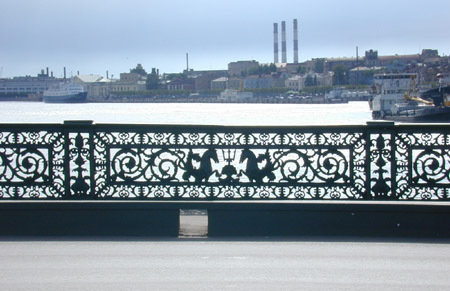 This is the lattice of the Lieutenant Schmidt bridge. 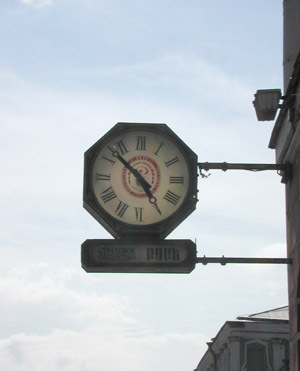 This is a clock near the University on the University quay. 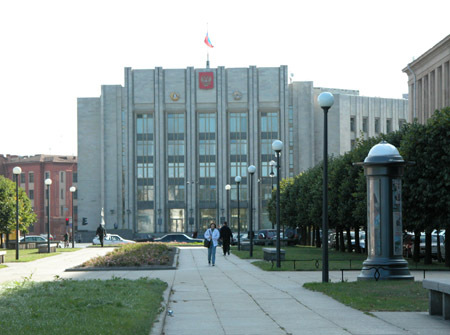 Though there are many universities in the city, actually all of them used to be institutes and during a couple of years ( since the beginning of 1990's) they have been renamed as "universities" and "academies". 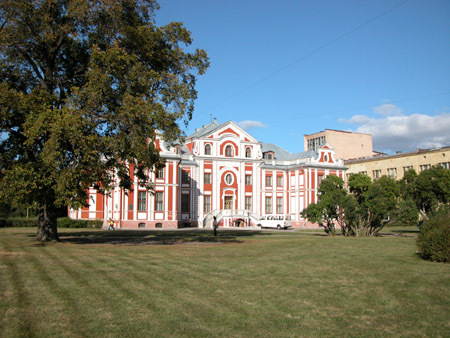 Leningrad State University/St. Petersburg State University always was a university, so when people say "university" they mean LSU/SPSU. 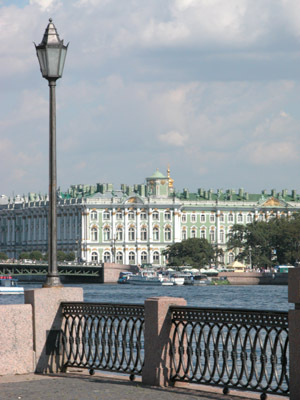 A view from the University quay (from where Isakievskii pontoon bridge used to be) at the Winter Palace. 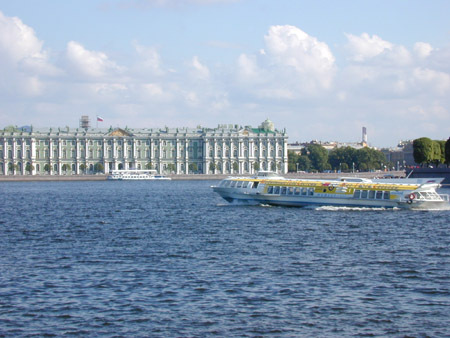 To the left there's Peter and Paul fortress, in front of us it's the Winter palace, and below you can see a rescue air cushion vehicle. 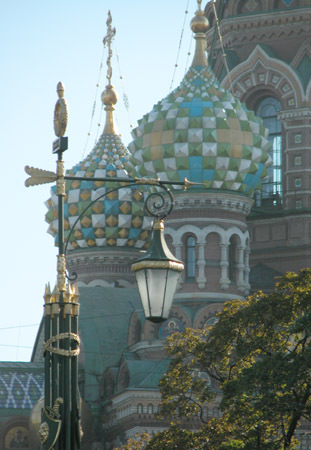 A bridge lamp of the Second Sadovii bridge is in front of the Church of the Bleeding Savior. 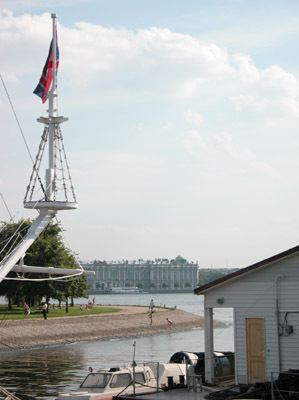 Behind her is the Second Sadovii bridge on the Moika River.